It is time for another Wednesday Wisdom. 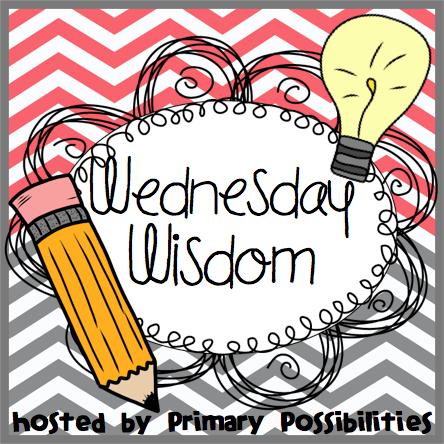 This week we are wanting to know how you make your classroom run smoothly. What procedures do you have specific to your classroom that make transitions and activities efficient? What saves you time and helps you with time management? There are several tips and tricks we use in our classrooms that we hope you are able to use and maybe already use. 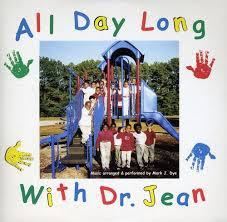 The one song I use from day one comes from Dr. Jean's All Day Long CD. If you click the here or the picture below, you will find the lyrics to the song. The song is located on page 4 of the download. The theme of the song is basically to worry about only yourself when lining up and not to worry about others. I have my students line up in number order every time we leave the room. Each child is assigned a number at the beginning of the year (which also helps with tons of other classroom organization & procedures). I use clear packing tape to tape numbers to the floor. This is especially helpful for the little ones who are still learning about personal space. Plus, the kids know that we get in this order EVERY TIME we leave the room... no fighting or arguing about people cutting in line. There are several line up numbers on TpT for you to use to tape to the floor in tons of different themes. 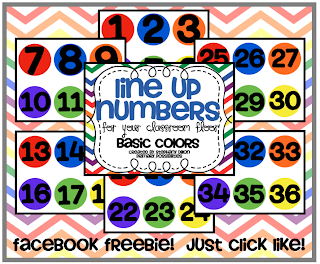 I made this set of numbers that can be used on your classroom floor. They are FREE by clicking here! In kindergarten and first grade, morning procedures are crucial to beginning the day "just right". I use popsicle sticks with student numbers and names for attendance and lunch count. 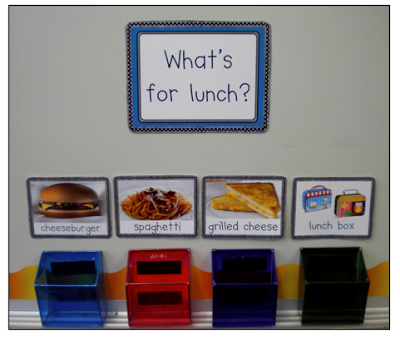 I also created Lunch Choices that match what the cafeteria is serving. Below is an example of how it looks when the choices are set up. I have these available in my TpT Store and am offering them for half off today for Wednesday Wisdom. What procedures do you use in your classroom that help keep your classroom running smoothly? WOW! I can't believe I didn't think of lining up using their numbers. How simple. Thanks so much for sharing your ideas. Such great ideas! 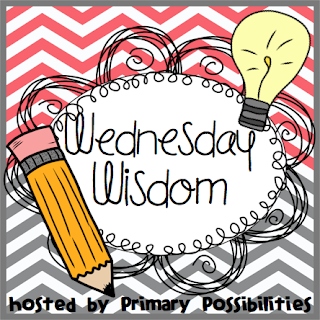 Did you create the frame and clipart in your Wednesday Wisdom icon? If so, is it in your shop... it's super cute! 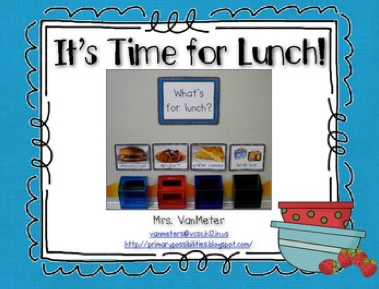 I blogged about your lunch choices, too! I love them. I never get asked "what's for lunch??" Ha! And I'm putting numbers on the floor this year! Thanks again for mentioning them in your post!! Thanks for linking up. Definitely going to try lining up on numbers. Personal space is always an issue. Thank you for such a good idea. In 4th grade I had them line up by numbers. Hopefully they are not near their talk buddy, no whining about who is first (unless it is their job). The best was for fire drills. So easy to have them "count off" so I know everyone was safe. You're right on the drills!! Great point!! Great idea with the numbers on the floor. I have a star on the floor for the first person. But I think I will do the numbers and make lining up so much easier! Love the numbers on the floor...do you laminate them before you put them down with the packing tape?? Thanks for all you do to make a teacher life better! In a classroom, decorations really must be colorful and catchy. That way, children will notice them easily, just like your projects. I think my favorite among your decorations is the floor number tiles. It’s simple but very educational. I wonder if a floor tape can be a good alternative for the masking tape, because it’s also colorful, you can put numbers on top of it, and it more designed to be put on floors and leaves no sticky residue when you remove it.